As I write, it’s a gray, damp May morning in the Delaware Valley. And while the Earth’s revolutions around the sun push us, ever-so-slowly, into a soggy afternoon, I’m spinning back into the past – to one of my favorite years, 1985. On the very first day of the first post-Orwellian year, a new channel named VH1 debuted on many cable systems across the nation, including mine. Its name was short for Video Hits One, and it aired music videos. And only music videos. But unlike its sibling channel MTV, its focus was less on the hot pop and rock hits of the day, and more on adult fare. Like jazz, soul, adult contemporary and even some country. I bought the corresponding LP, Rhythm & Romance, not long thereafter, on July 17th, and was instantly smitten with the album as a whole. It marries the SoCal rock aesthetic, updated for the ‘80s, with a country heart. The opening track, “Hold On,” features a taut guitar solo. Other highlights include “Second to No One.” I never saw the video before now, and must say that it’s quite stunning. 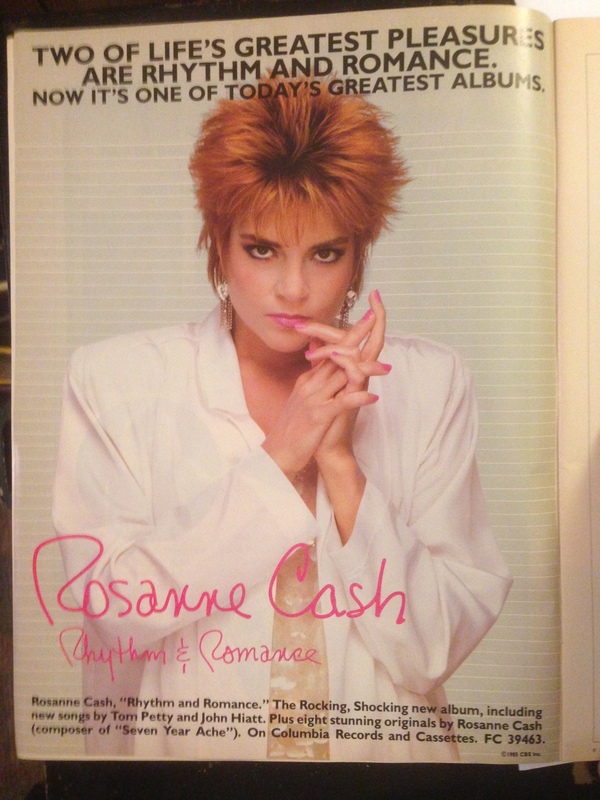 “Never Gonna Hurt,” another favorite, is as spiky as Rosanne’s hair on the cover – it sounds like a lost Jam classic. Actually – see the track list below? Those are the highlights. All 10 songs. 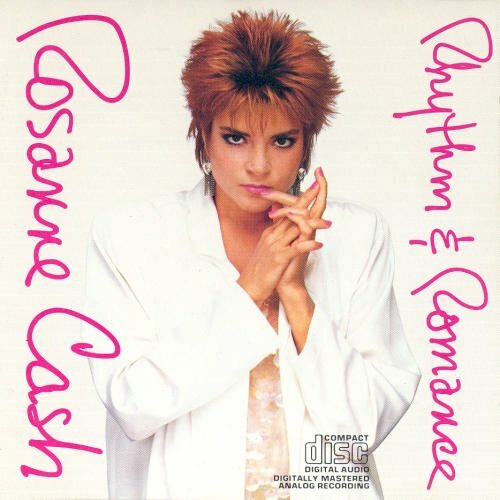 Rhythm & Romance is one of those albums best listened to from start to finish. A few years back, Rolling Stone published an excellent salute to the album in honor of its 30th anniversary. It included this surprising bon mot from Rosanne’s memoir, Composed: “I still cannot stand to listen to Rhythm & Romance,” especially the “sophomoric, navel-gazing songs.” It just goes to show that, sometimes, the artist is wrong. To my ears, Rhythm & Romance is a classic. In the year since it was released, of course, Rosanne has released a string of good, great and equally essential albums; and Diane and I have seen her in concert many times. But whenever I hear or think of her, I can’t help but to think of this album. A mere two weeks after our last snow event, summer visited the Delaware Valley yesterday and Friday. Temperatures hit 84 degrees Fahrenheit both days, and then skipped out the backdoor last night. It’s a chilly and damp 50 degrees as I type, 9:02am Sunday morn, and the weather forecast for the week all but guarantees that the comforter will return to the bed tonight, and that the cat will be back beneath it, between my feet, for at least part of the evening. Anyway, enough of the preamble. For yesterday’s Top 5, I looked back 40 years. For today’s Top 5: Suspended in Time. Just ‘cause. 1) Juliana Hatfield – “Suspended in Time.” Way back in February, I wrote of the announced track listing for the Juliana Hatfield Sings Olivia Newton-John album that “[t]he only change I would make: swapping out ‘Suspended in Time’ for ‘Come on Over.’” So it stands to reason that, now that I’ve lived with the album for a week and a half, it’s become one of my favorite songs from the set. It just floors me. 4) The Staves & yMusic – “The Way Is Read.” Uploaded just last month, this performance is spellbinding. The song, of course, is from the Staves’ collaboration with yMusic, The Way Is Read. In February 1985. 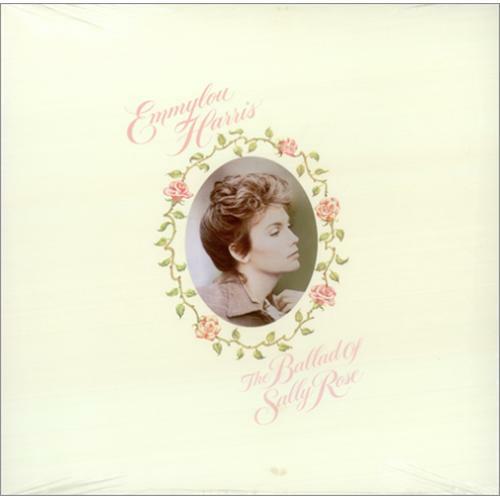 Emmylou Harris released her 11th album, The Ballad of Sally Rose. 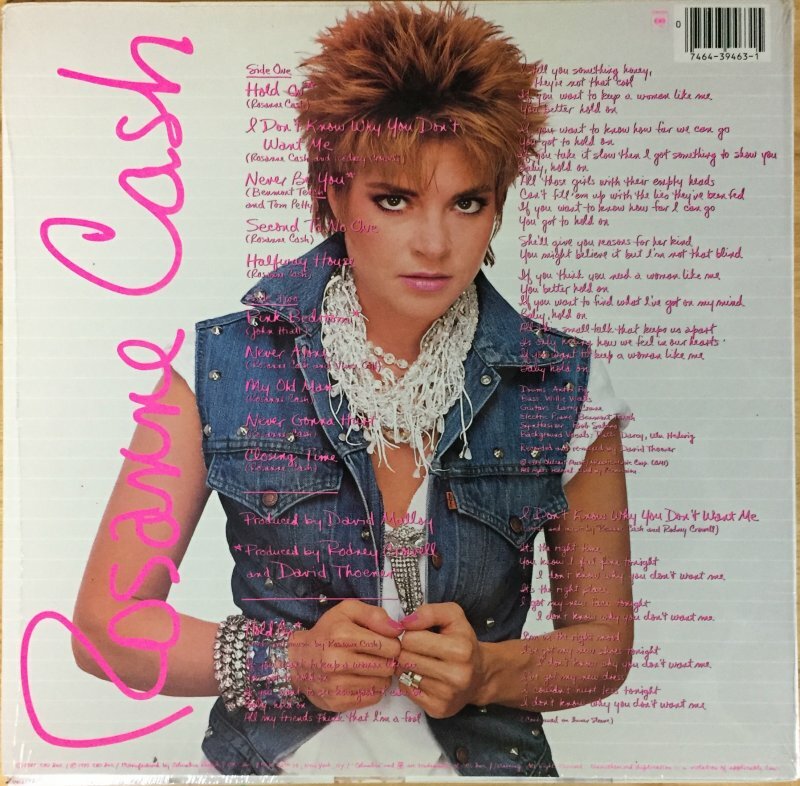 I bought it on vinyl on the 17th of that month, a Sunday, and liked it so much that, a few weeks later, I picked it up on cassette so that I could listen to it while driving my new old car, a ’79 Chevette. I also scored tickets to see her at the Academy of Music in Philly around the same time. In my Of Concerts Past piece about that show, I mentioned that it’s not necessarily her best work. It is, however, one of her most ambitious efforts. A true flawed masterpiece. A concept album inspired by her relationship with Gram Parsons, the songs – written by Emmy and her husband at the time, Paul Kennerly – chart the story of a young woman who falls for a charismatic singer only to be wooed away from him by the promise of stardom. And just when she realizes her mistake and sets out to rejoin him…he dies in a car crash. Bad news, huh? 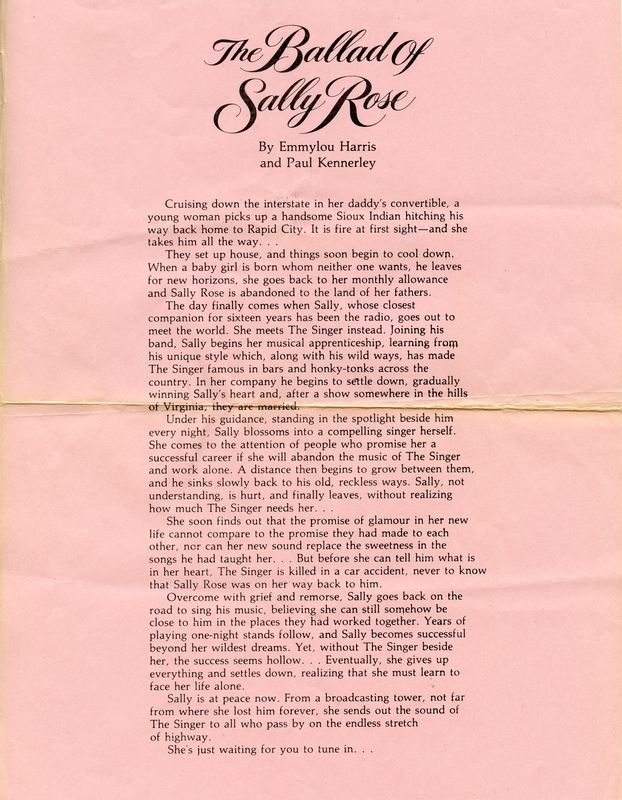 The scan, by the way, is of the flyer handed out at that 1985 concert, and it explains the story in a bit more depth. As I note in that Of Concerts Past piece, “Rhythm Guitar” and “Woman Walk the Line” are memorable, too. Likewise, the rest of Side One – up until “Bad News,” which doesn’t quite work. Side Two has its moments, as well, and the closing “Sweet Chariot” is sheer genius. Here’s a new, occasional series: Albums that, in my estimation, everyone should experience at least once. 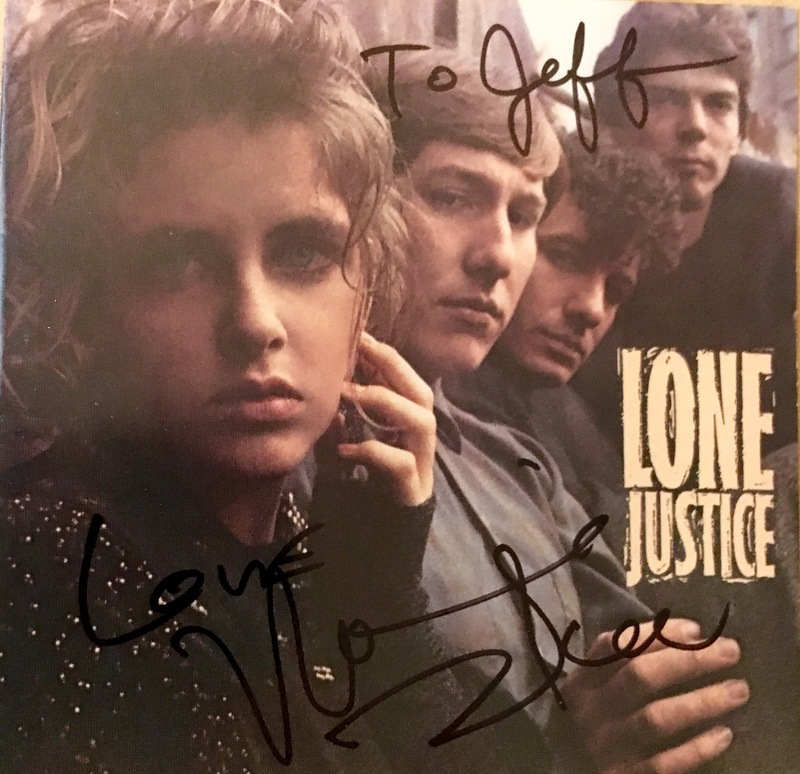 First up: Lone Justice’s self-titled debut, which was released on April 15, 1985. Flashback to that April: I read a review in Rolling Stone touting the album as a good, not great, affair that was highlighted by the vocal power of the girl singer, who supposedly possessed a style reminiscent of Janis Joplin. …but, on occasion, “Don’t Toss Us Away” – which, it should be mentioned, was written by her brother Bryan MacLean. But what the hell? Some (early) Sunday mornings I slipped in “Ways to Be Wicked,” too.